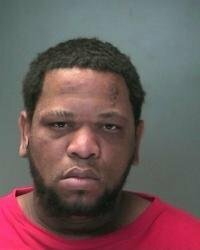 34-year-old Cory Ford is accused of taking the cash register with him after robbing a beauty center in Patchogue. Suffolk County Police arrested a man Tuesday after they received a call saying he was acting suspicious on a Long Island Railroad train. What authorities found on him was quite unconventional. Usually when a suspect is apprehended for robbery they just take the money. In this particular incident, the suspect, Cory Ford, is accused of taking the entire register with him. Police became aware of the 34-year-old New Jersey resident after a passenger became wary of how Ford was acting. After police were called, MTA officers met him at the Jamaica station and found he had a cash register on him. Fifth Squad detectives conducted an investigation and found the register was stolen at 9:30 p.m. Monday night from the Eloisa Beauty Center in Patchogue. Ford was arrested at 11:30 a.m. Tuesday and charged with Burglary in the Third Degree. He was held overnight at the Fifth Precinct and is scheduled to be arraigned at the First District Court in Central Islip on Wednesday. A Lindenhurst man was arrested in Woodbury at 2 a.m. on Tuesday for a month long crime spree where he committed burglary and grand larceny. One of the ways the suspect was caught was after a 20-year-old female victim noticed unauthorized transactions on her debit card. After seeing the transaction, she checked her wallet and found that her card was missing. Surveillance footage shows 23-year-old Robert Marlow using the card in a West Islip food store. His spree didn't end with stolen debit cards. A month later Marlow broke into a home in Wantagh and stole jewelry from the residence. He then pawned the stolen jewelry off in West Babylon and Massapequa Park. When Marlow surrendered himself to Second Squad detectives he was charged with Burglary in the Second Degree, and Grand Larceny in the Fourth Degree. He was arraigned in the First District Court in Hempstead on Tuesday, December 3rd. Subject: LongIsland.com - Your Name sent you Article details of "Crime Report: Man Arrested After Police Found Cash Register in His Possession, Lindenhurst Resident Arrested For Burglary and Grand Larceny"